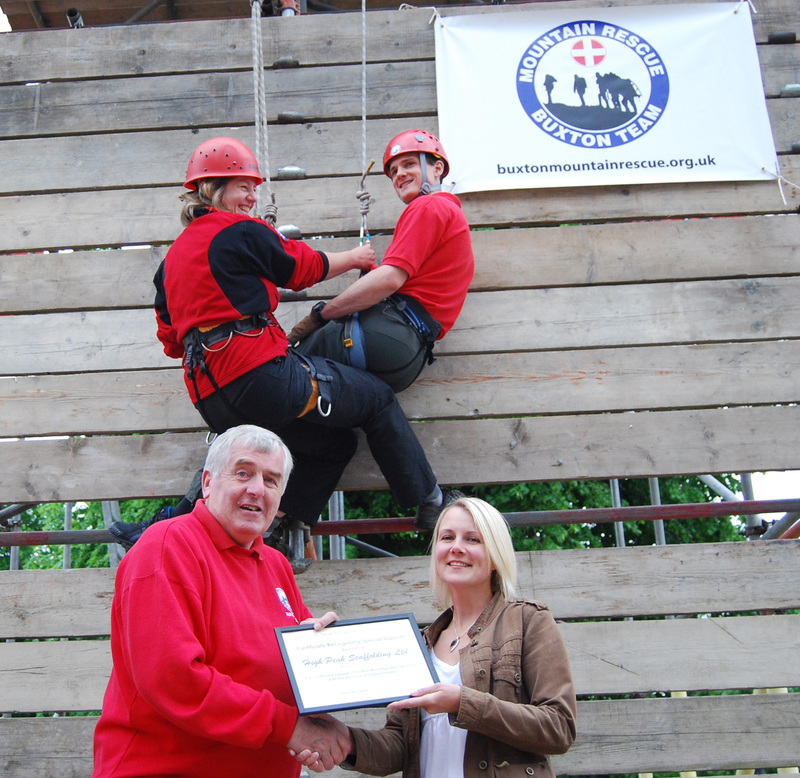 The practical crag rescue demonstrations at the annual Emergency Services Day is only possible with the cooperation and generosity of local firm, High Peak Scaffolding of Waterswallows, Buxton. For many years the company has supplied and erected a special tower free of charge for the team to display its skills. This year was an additional challenge as, because of a wedding being held in P avillion Gardens on the day before the event, construction of the tower could not start until the Sunday morning which meant a very early start. And that was the morning after England played its first game of the World Cup so volunteer scaffolders were in short supply. However, High Peak Scaffolding has never let the team down and its skilled men were on site at 6.00 am to start building the display tower. Completed by 9.45 am the team still had time for a practice run before the event opened to the public. 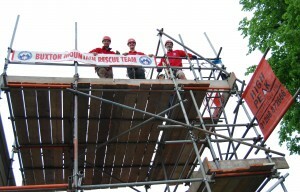 Without the generosity of the local firm the team simply could not afford to spend charitable money on a demonstration tower and therefore would be unable to show the public some of the rescue skills required on a rock-face. 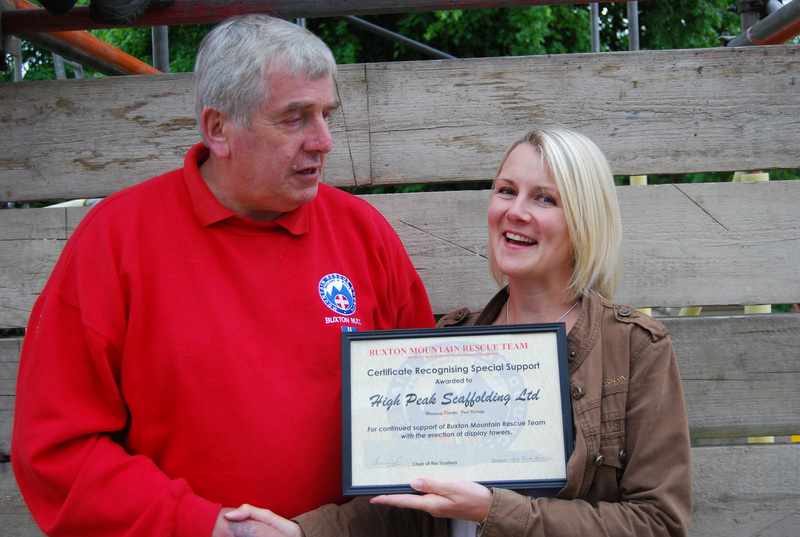 To mark the years of support High Peak Scaffolding has given the rescue team, a Certificate of Special Appreciation was presented to Company Business Manager, Sarah Klieve, by Team Chairman, Ian Hurst. The certificate marked the team’s sincere gratitude for its considerable effort and financial contribution over many years.